Is the Sorting Hat having trouble placing you in a specific House, or do you simply like roam from Gryffindor to Ravenclaw to Hufflepuff to Slytherin? 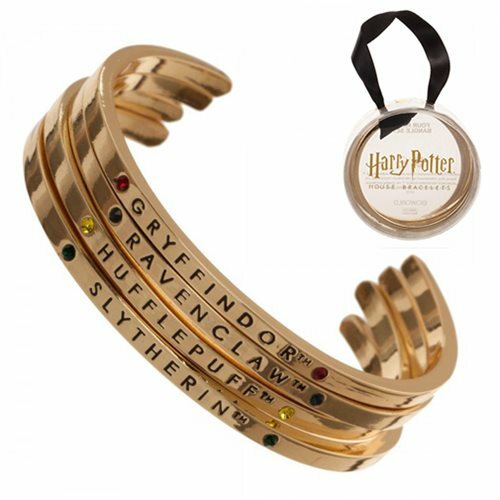 Either way, you're covered with this Harry Potter House Bracelets Gift Set that includes a band for each House. Share them with friends or wear a different one every day!